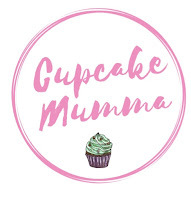 Cupcake Mumma: A Bargain of a Day! A Bargain of a Day! I'd like to show you some really pleasing finds. First of all I bought this fab mug which my sister spotted. This was in the Cancer Research shop and although it wasn't second hand the money still goes to a good cause right? This was £6 and is a totally cool mug. It's made like those Starbucks coffee cups. The top is silicon and has a plastic covering. I had my first hot chocolate in this last night and it retains heat so well I'm going to need a knitted mug warmer so I don't burn my hands! I love it though, very CupcakeMumma! My second find was from a box containing a few fabric scraps and old dolls clothes from a lady in the market. I found this very cute little handmade cushion. I'm not usually one for nautical themes and to be honest, I'm not sure where it'll fit in but because I love it I know I'll find a home for it. A beauty one here. Poking about Superdrug waiting for my sister to decide between two different types of stick on eyelashes (she bought both in the end in case you're interested) I found a little box of polishes and trashed make up. I don't wear make up and the varnish colours where fairly ugly. However, amongst the brown varnishes I found this top coat polish which we all know can be very handy. As it was 99p I thought I'd better not miss out on it! How cool is this cupcake? The perfect finishing touch to my kitchen decorations I thought. I've placed it on my windowsill and as you can see it's also a handy little box. I don't think ill use it for anything but maybe a few stray 5p's will find their way in? I love bunting. No. I adore bunting! And this is roughly 2 metres for £2.50 from the same lovely old lady at the local market. I love the colour and already have a place in mind. It does have some letters sewn on so I'll unpick them and give it a good iron before pinning it up on my desired spot. Finally, a couple of very retro and very cool postcards for my collection. I've decided to get some of my favourites (these included) out of my tin and put them in photo frames to display around the house. Watch this space! Have a great weekend what ever you get up to.